Tuzenbach, a principal character in Three Sisters by Chekhov, argues for the intrinsic value of work. That is, work is valuable in and of itself regardless of the purpose for which it is being carried out. Vershinin, another character in the play agrees, but but went on to say that an even higher value should be placed on productive work – work that benefits community and society. Chekov wrote Three Sisters in 1901, only a few years removed from The Russian Revolution, and he was very much attuned to the intellectual arguments of the day. He presented both sides of the argument clearly and forcefully; but it was clear that he had not yet made up his mind. The characters in the play speak in lofty, intellectual terms about moral philosophy and the role of work in the new Russia; but Chekhov himself seems somewhat conflicted. He is no royalist, but his sympathies for serfs and peasants, and the rude work of the countryside are half-baked. In his short story, My Life, the young Poloznev has a theoretical affinity for the peasant whose toil has more value than that of the city. There is something pure and purifying about physical labor. Urban employment is flaccid and compromised and easily gives way to greed, venality and corruption. Poloznev quickly finds out that the peasant is far from a communist ideal. The peasant who turned up the soil with his plough and urged on his pitiful horse, wet and tattered, with his craning neck, was to me the expression of coarse, savage, ugly force; and every time I looked at the peasant’s uncouth movements, I involuntarily began thinking of the legendary life of the remote past…. A potbellied horse would stumble forward…wet and slimy-looking; and beside it muffled up against the rain strode a peasant with the skirts of his coat tucked up inside his belt, not looking where he was going but stepping into the puddles…Men and women, with their heads muffled and skirts tucked up, would stare angrily at our windows, and make an uproar. Coarse oaths were audible. Are peasants men? They are not men, but…wild beasts, imposters. All the peasant cares for is his victuals to be cheaper and swilling liquor at the tavern like a fool…nothing but ignorance. He lives in filth, his wife lives in filth, and his children live in filth. Constantine Levin, one of the principal characters of Tolstoy’s Anna Karenina,takes a more dispassionate view of the peasantry. They are the gears and wheels of a mechanism over which he has control. Neither their work nor his management has any intrinsic value; but together they may produce and gain together. Work is a means to an end, says Levin; and idealizing the physical toil of a peasant is nonsense. Poloznev’s wife, Masha, criticizes her husband’s romanticism, and says that intellectual or artistic enterprise is as valuable for lighting the way to the future as peasant’s sweat. All the characters in Three Sisters have led a privileged life without the need to work. When they left Moscow for the provinces, however, they had to take up routine, pedestrian employment. They felt that working for a living – not for any grand or patriotic purpose – was ignominious, a loss of dignity, and a social regression. Some of their coterie are proud that they have never worked a day in their lives. It wasn’t that work was beneath them, but that their intellectual and creative contributions to society were worth more than tilling a field. It was a matter of class, place, and position. Most of us would rather work than not, or so we say. What we really mean is that we would rather be free from the gulags of forced labor, punching the clock and putting up with bad bosses. If we could be gainfully employed in occupations that were consistent with our personalities and characters, we would embrace them. As Ibsen put it, the ideal of us all is to harmonize moral principles with personality and character. The better word to describe these aspirations is ‘occupation’. All people have the need to be occupied, otherwise the sixteen hours of wakefulness would be an intolerable chasm of emptiness. Even the most wealthy among us do not spend all their waking hours on Caribbean beaches or on the slopes of Gstaad. They have projects and initiatives to fulfill the nagging guilt trip of self-worth. Volunteerism, active support to the arts, patronage of liberal or conservative causes, or ‘writing a book’. No one is immune from the disease of boredom, and all of us design and execute ‘occupation’ to ward it off. 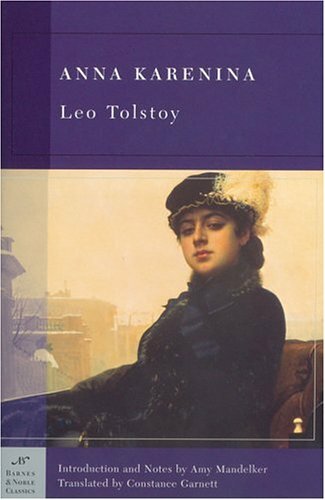 Chekhov’s characters cannot escape the ponderous burden of the past, and because of the weight of their former lives of leisure, they cannot suddenly become active, enterprising, and progressive. Their tragedy is in their inability to adapt to the rapidly changing, revolutionary Russia. The challenge continues to this day – how to work as little as possible, but to be as productive as possible in one’s chosen employment? Many Americans have no choice whatsoever. They are are modern-day sharecroppers, punching the clock at quittin’ time, doffing their caps to the factory floor manager. They leave the day shift for the 5-11 shift at McDonalds or Walmart. Work is necessary, inevitable, and unpleasant. For the very few work is a pleasure. They are the small-scale entrepreneurs who have built a business or put an idea into practice. They are investment bankers for whom risk and reward is a lifestyle and a money-maker. They are the IT engineers who work on the cutting edge in Silicon Valley, Dulles, or Rt. 128. They are the uncompromised artists with a vision; intellectuals with a passion for Johnson, Boswell, and the 18th Century; and philosophers trying to harmonize Hobbes, Kant, and Augustine. For the rest of us, traditional work is to be avoided at all costs. We operate not only according to standard rules of efficiency, but by the more important rule: “A silver tongue and a little bit of charm will get you everything”. In other words, work is neither an ideal nor a shibboleth. It can be deconstructed like everything else, deciphered, and made tolerable. John Talbot was a good friend who knew how to avoid work while giving the impression of working; and for that he was a genius. His co-workers thought he worked all the time because he sent emails around at 2 and 3 o’clock in the morning, produced prodigious amounts of cogent writing before 8am, and was solicitous and helpful to others. His supervisors thanked him. His co-workers asked for his tutelage, and Senior Management was considering him for bigger and better things. The truth was that John had gamed the system like no other. His charm, willingness, and absolute loyalty won him plaudits. His productivity was admired and emulated; and his work ethic was beyond reproach. It was all smoke and mirrors. He started work at 3am because he was congenitally wired for a twisted circadian cycle. He had tunnel vision and the discipline of a martyr because he knew that overtime was poorly paid. In short, he produced twice the work with half the effort and half the time than the rest of his colleagues. This combination of a silver tongue, charm, and frightening discipline left him hours of the day to drink, play tennis, and to enjoy many cing-a-septs with desirable Washington women. Women these days are impressed with men who do more than their share of housework and child-rearing; but once again savvy men have figured out to game the system. One round of toilets is worth many unchallenged ‘late nights at the office’; and a day with the children at the park and horseback riding is a goldmine in gender capital. My friend John Talbot did not fritter away the time gained from conning Pyramid International. He became an expert on The Age of Reason, taught classes as an Adjunct Professor at American University, and had over 5000 followers on Twitter and Facebook. These extracurricular activities only added to his allure. No one even suspected that he was parlaying his flex-time at Pyramid into social media stardom. He was to serious, committed, and charming about it all. John worked as much if not more than anyone I know. He simply was adept at deflecting the prosaic demands of the workplace, thus freeing time for his more important personal enterprises. He, like Tuzenbach, Vershinin, or the three sisters, understood the nature and importance of work; but unlike them was able to satisfy family, community, and society without breaking a sweat. Life is certainly ‘nasty, brutish, and short’ as Hobbes noted; but if one is enterprising and canny, there are ways to mitigate the pain. John was never one to slough off his responsibilities and get underlings to do his work. The management of these minions alone was too much work to consider. No, he preferred the easiest possible way out; and until he retired had convinced everyone that he was a diligent, assiduous worker. Thanks to this legerdemain there was no greater bon vivant than John Talbot. His time was his own because he had successfully sold his bill of goods. At the same time, thanks to John’s intelligence and sadhu-like mental discipline, he was able to produce quality, relevant work. He only did it in half the time as anyone else. In other words, he was not irresponsible or unethical. He simply appraised and valued work properly. John Talbot is my hero. Although I sympathize with the legions of low-end, minimum wage workers, factory floor machine operators, and municipal employees picking up trash or driving public transportation; and while I admire the brilliance of the boys of Silicon Valley and Dulles; I idolize John. He has an instinctive sense for the relative value of work. No windy Chekhovian debates about intrinsic value or the world of 1000 years hence. Work for John is to be avoided at all costs and replaced by occupation. I have heard many clients of his who have sung his praises and told of how his work illuminated and improved their lives. I have talked with former supervisors who talked of him as the ideal employee. However, when I think of John Talbot I think of Konstantin Levin in Anna Karenina. When his wife, Kitty, thanks him for his work and effort for the peasants on his land, he replies angrily that she has completely misunderstood his intent. I work for myself, he said, and for me alone. If there is collateral benefit which accrues to others, so much the better; but I cannot be bothered. Two peas in a pod, as my mother would say; and two men, one fictional and one as real as the silver tea service on the settee, both of whom understand perfectly the nature of work,.